This is an exciting opportunity to play a leading role in policy development, and the co-ordination of a team of three Research Support Officers and an apprentice for the City Hall Greens Members of the London Assembly. You will work in a fast paced and dynamic environment and have the opportunity to shape policy that affects the day to day lives of Londoners by providing high quality research and policy support to the two City Hall Greens Assembly Members. The London Assembly scrutinises the work of the Mayor across the policy areas of transport, housing, environment, policing, health, the economy, planning, fire and emergency planning, education, regeneration, EU exit preparations, and the Mayor’s multi-billion pound budget, and applications are invited from candidates with experience in one or more of these areas. 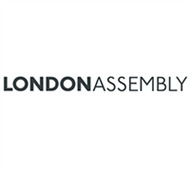 You will liaise extensively with other political Groups represented in the London Assembly and co-ordinate and lead the activities of the team on a day-to-day basis to ensure the highest level of support to the Assembly Members. You will need a thorough understanding of the work of the London Assembly, experience managing staff, outstanding communication skills, which you will have deployed to influence and build effective professional relationships with a wide range of people, a high level of political awareness and experience, together with sound organisational, administrative and written communication skills. We are committed to being an inclusive employer and we are happy to consider flexible working arrangements. We would welcome applications from candidates who are seeking part time work as this role is open to job share. We will also consider reduced hours arrangements (minimum 32 hours per week). In addition to a good salary package, we offer an attractive range of benefits including 30 days’ annual leave, interest free season ticket loan, interest free bicycle loan and a career average pension scheme. To apply, please visit our website.